Hand of Fate and Hand of Fate 2 both are hybrid roguelike action-RPG, in which the player builds a set of cards into a deck, which is then used to deal out the dungeon floors through which they adventure. Upon entering a combat, all of the cards the player has collected fly into their hands as fully modeled 3D assets, and combat begins. Beyond the thirteen gates at the end of the world, the game of life and death is played. Draw your cards, play your hand, and discover your fate! 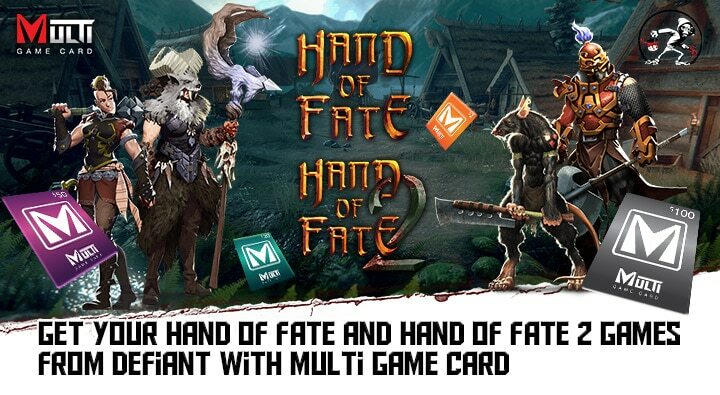 Purchase Hand of Fate and Hand of Fate 2 with Multi Game Card now !! !